Sky have updated their mobile streaming app, SkyGo, to add support for the Sony Xperia Z, the HTC One, the Samsung Galaxy S4 and the Motorola RAZR HD! 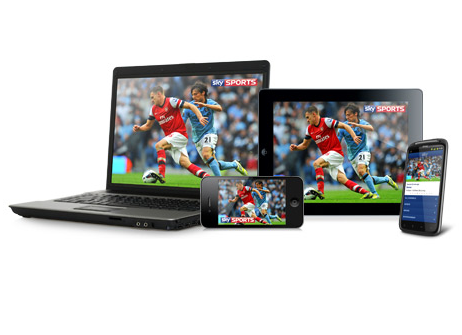 It's great Sky are bulking out the list of supported devices, we just want to see it on a few more Android tablets now! It's been discovered that Google's Glass project isn't quite compatible with iOS just yet. Over on the support page it says that to send SMS and use the GPS you have to have the MyGlass app for Android meaning that these features aren't yet in the iOS app! The UK phone, internet and TV provider, Talk Talk, have been fined £750,000 for an excessive number of abandoned and silent marketing calls to prospective customers. OFCOM discovered somewhere near 9,000 silent and abandoned calls were made in early 2011, as well as a failure to follow Ofcom policy on a separate marketing campaign in 2011! For more information hit up the source link below! Boulder Dash XL has launched on Android with over 100 levels! This is apparently exactly the same game which you can get on PC and Xbox 360! You can get the app for £2 on the Play Store here! At the time of writing it has eight 5* ratings so initial impressions seem good! If you fancy picking up either a tablet, smart TV, computer or any other device which uses the internet for John Lewis then the company will offer you some of their new broadband packages. The deals aren't spectacular, but they're not bad: the Standard package costs £11 per month and that nets you up to 16Mb speeds and 20GB of usage. There's also unlimited broadband is from £18 per month, giving you 16Mb down and no monthly usage cap. Alternatively you go for Fibre which is £25 and gives you speeds up to 38Mb and 100GB of usage per month. All of these require line rental of £13.50 per month and if you buy an internet enabled device you get six months free! Archos have announced a new line up of three phones. Each of them is dual sim and they look relatively good! Check them out here! Samsung have confirmed that the Galaxy S4 won't have FM Radio support. A decision they justified by saying that they have seen a trend towards digital consumption through YouTube. We're not sure everyone with data limits will agree! Yahoo have updated their Mail and Weather apps for Android with nice new tablet interfaces! For little demos and more information check out Yahoo's blog page here! Anything Yahoo can do LinkedIn can do too! The latter have also refreshed their Android app, bumping it to version 3. There's a tonne of changes which can be found on their blog here! Wordpress are in on the act too having updated their Android apps with lovely new Holo themes! For full details on the update check out the Wordpress blog here! Three Sweden have confirmed that the Sony Xperia S will get the update to Android 4.1.2 on their network from April 22nd! That means it's possible that unlocked devices will see the update much sooner! And finally, rumours of a cheap iPhone simply won't go away and today we've got an image of what is purporting to be that exact device. 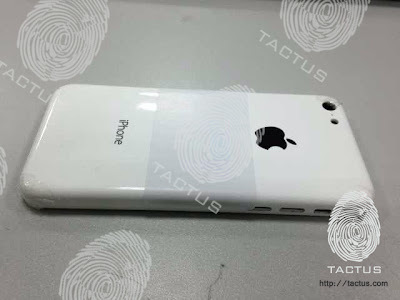 There's every chance that this could be nothing, but once in a blue moon random leaks turn out to be true, we've still got a fair few months to wait before we hear anything official about new iPhones though!